This title, long out of stock, will arrive from the printer in early January. On both sides of the Atlantic, the 1870s were a time of economic collapse, beginning with a series of bank failures in 1873 and lasting until the end of the decade. Now referred to as the Long Depression, the downturn was known as the “Great Depression” before the Great Depression. But, as his writing shows, the devastation of the economic malaise was never far away and during the holidays he accompanied a friend to “visit the children of a workhouse.” There, somewhat stodgy in bearing and not a little romantic in outlook, he finds a modicum of seasonal joy in surroundings that evoke Oliver Twist. Note: The reference to Lady Bountiful in the last sentence is to a character in George Farquhar’s The Beaux’ Stratagem (1707) who gives away half her income as charity. It will hardly be pretended this year that the English Christmas has been a merry one, or that the New Year has the promise of being particularly happy. . . . If you don't see the full story below, click here (PDF) or click here (Google Docs) to read it—free! It ends so abruptly. Is that it? (ending with the expressionless faces of the children?) James seems to withhold any serious attempt at evaluation, merely hinting here and there that the situation is not too bad. I'm a fan of both the James boys, but this dispatch seems inadequate as it stands, and I wonder why (if it is complete here) he thought enough of it to republish it. Re the comment by Anonymous, this seems like a finely constructed little account to me. It proceeds from the general and abstract (economic conditions in England), through some particulars of English weather and society (the fog, the response to appeals), to very specific and physical details (the light, the unnamed "Lady Bountiful," the faces of the children). For me this is all of a piece, giving a deft though broad sketch of the entire English scene. The piece also moves from what is essentially the center of the country, London, in the south, to the periphery, in the north. It makes clear, to me at least, that the author has little basis on which to make a "serious attempt at evaluation": one realizes that what he knows of workhouses and the like has come from books, namely Dickens (which may remind us that Dickens himself knew from experience). And one is free to judge him on his freely reported responses, for instance, his looking for a figure "cut out for romantic adventures." I could say more, but I don't want to turn this into a short college paper. As brief as it is, this sketch seems to put a stamp of approval on the English taking care of those who cannot make their way in a complex industrialized society--not a figure among them "cut out for romantic adventures". He seems to have warm feelings toward those who realize that there are, indeed, the less fortunate. Some people do not have bootstraps to pull up. The dispatch published in 'The Nation' is necessarily journalistic in tone and impressionistic in nature.There is a general approval of English civilization and appreciation for their philanthropy but did Henry James expect to find a romantic and adventurous Oliver Twist in the work house? 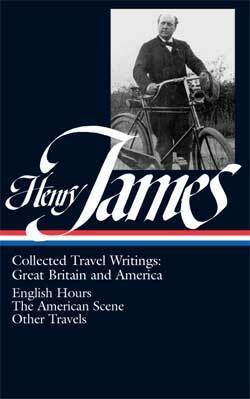 To me, Henry james sounds disappointed that there is no spirit,no rebellion in the 'prosaic little mortals.' He seems to be repulsed by the atmosphere that a copious dinner and memorable satiety had produced.Does Henry James secretly wish that the lady beautiful was not so bountiful as to kill the desire to improve one's lot? Probably, Henry James would rather have a little hunger and discontent in the inmates instead of plenty and satiety so that this could possibly give birth to another Oliver Twist. what is the solution plz someone tell me! Whoever you might be, I'm glad your comment has generated three responses. That surely is healthy and desirable. There is no solution for there is no problem. I don't think Henry james wanted a solution. He was giving a factual account of something he saw and it just happens to be descriptive and poetic.Just a good job. I actually found this story touching and it provoked thought, I do not think that the ending is abrupt because it left me thinking, rather than doing the thinking for me. That is my opinion. Great description of London fog. I think James' failure to find Oliver Twist a the work house is presenting the reality that it is close to impossible to better oneself once you are condemned to such a life. Inadequate food and attention makes you into a defenseless imbecile despite the best efforts of the wealthy.